Earlier this year, Guatemala was represented at London Fashion Week 2016 by a young designer with Down syndrome named Isabella Springmuhl. In Guatemala, Springmuhl faced frequent barriers that prevented her from realizing her dream of entering fashion. After finishing high school, she was rejected from higher education fashion programs because of her Down syndrome. Though it was a blow to Isabella at the time, she was able to work at her own pace and create an impressive portfolio without schooling. No doubt a surprise to the design academies that rejected her, she’s now set to conquer the world’s great fashion capitals — London, Rome, Paris, and New York. Isabel’s mother was aware of her daughter’s gift for fashion from a young age, and it wasn’t a surprise either. Her grandmother runs a well-known fashion label in Guatemala called Xjabelle. Through that connection, Springmuhl was able to create her own line of clothing for people with Down syndrome, a field severely lacking in options due to the odd sizing required for people with the condition. Aside from the way Down syndrome has shaped her work, Isabella is also inspired by the styles of her native Guatemala, she told Look. Far away from London Fashion Week, the Down syndrome designer’s home country is currently undergoing a political upheaval. Assisted by the United States, Guatemala is going after the organized crime that mandates it. A recent editorial in the New York Times argued that these efforts faced unique challenges, including endemic government corruption, but that continued commitment to eradicating the violence could have positive repercussions across the Americas — even if they do face a steep uphill battle. Around 680 hours of coverage from 13 sports will be live streamed on 15 HD channels on the International Paralympic Committee’s (IPC) website Paralympic.org during the Rio 2016 Paralympic Games. The IPC selected Dailymotion to provide the streaming services. Dailymotion is the world’s second largest video sharing website with three billion video views per month. It also has an extensive network of media publishers, such as news sites, which use the Dailymotion player on their websites. Craig Spence, the IPC’s Director of Media and Communications, said: “We’re really excited that during Rio 2016 we will be live streaming 72 hours of sport each day across 15 channels. It will mean that fans from around the world can either watch the Games on TV or on Paralympic.org. We’re really excited to be working with Dailymotion for the first time, to use their publisher network and bring the Paralympic Games to new audiences. “Strategically Dailymotion is a really good choice for the IPC. 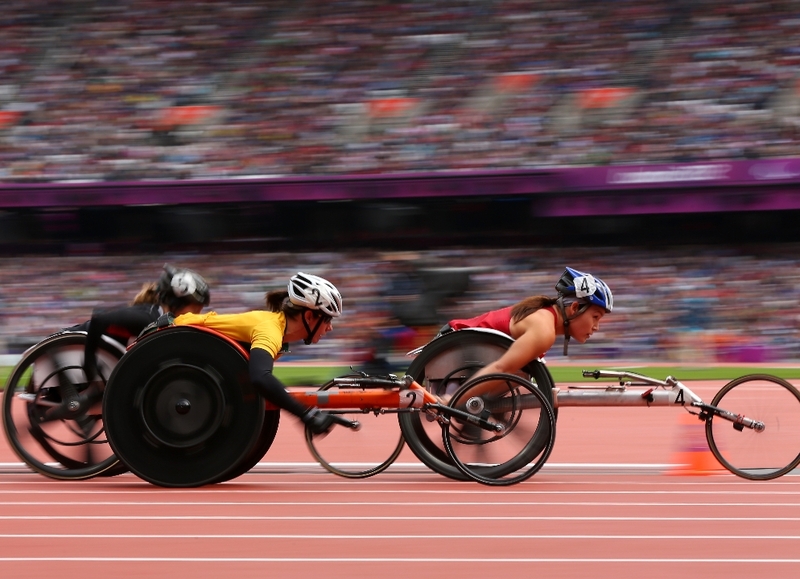 Half of their user base is located in Asia – the location of the next three Paralympic Games. “Although the IPC has strong broadcast partners in Korea, Japan and China, we hope that using Dailymotion’s publisher network during Rio 2016 will help the IPC to build on that for the Games to come”. The live stream, which will have English commentary, will be available in around 240 territories on Paralympic.org and in around 190 territories on Dailymotion.com/Paralympics. 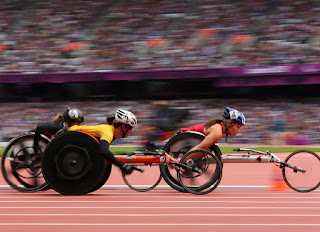 A full list of rightsholding broadcasters can be found here: https://www.paralympic.org/watch-rio-2016. This page will be updated with links to broadcaster streams. As well as the Opening and Closing Ceremonies, athletics, track cycling, football 5-a-side, football 7-a-side, judo, powerlifting, sitting volleyball, swimming, table tennis, wheelchair basketball,wheelchair fencing, wheelchair rugby and wheelchair tennis will be live streamed. All other sports will feature in the daily highlights which will be streamed at 16:00 and 23:00 BRT each day, as well as two news shows, shown at 03:00 and 10:00 each day. The Dailymotion player is 100 per cent responsive and HTML5 compliant, the V5 is built for maximum performance on any device. It also has greater accessibility features, such as screen reader, voice over and subtitles. "It’s our particular goal to distribute content that captivates and engages our existing community of over 400M global visitors,” said Maxime Saada, CEO of Dailymotion “Our global audience will enjoy the Rio 2016 Paralympics and the Dailymotion player, and our accessibility features will satisfy the public who will discover Dailymotion through this great event." 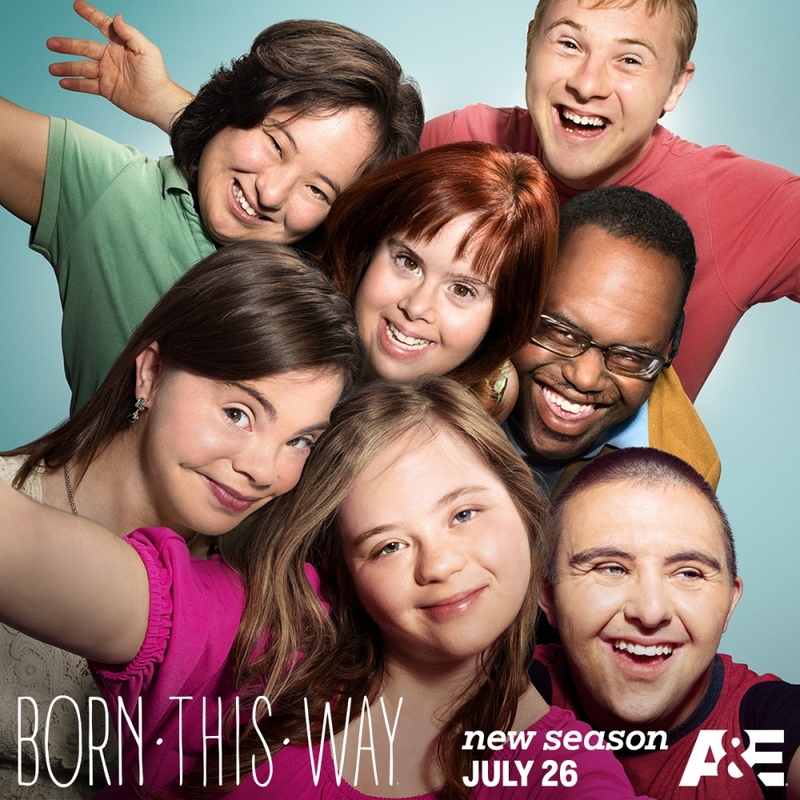 Washington, July 14 – A&E Network’s critically acclaimed and award-winning original docuseries Born This Way’s honors keep adding up – showing that disability is a winning theme. Born This Way was nominated for an Emmy this morning for Outstanding Unstructured Reality Program. In addition, two episodes were nominated for Outstanding Picture Editing for an Unstructured Reality Program. Produced by Bunim/Murray Productions, the series follows a group of seven young adults with Down syndrome along with their family and friends in Southern California. During its first season, Born This Way grew across all demographics each episode, with adults 25-54 up 84 percent, adults 18-49 up 64 percent and total viewership up 67 percent by the end of the season. Recently, the series was chosen as one of six honorees for the 2016 Television Academy Honors, an award that recognizes television programming that inspires, informs and motivates. RespectAbility has been honored to have been consulted during the creation and production of Born This Way and congratulates the entire team for its hard work in achieving this nomination. According to the U.S. Census, one-in-five Americans has a disability. Currently 70 percent of working-age people with disabilities are not working – even though most of them want jobs and independence. The numbers are even worse for people with Down syndrome. There are many studies that show that people with disabilities, including those with Down syndrome, can work successfully and live relatively independently. The individuals on Born this Way prove that as several are productive employees and one starts her own company. “By honoring and embracing diversity on television, Born his Way is uniquely redefining the art of honest storytelling and altering the way society views individuals with differences,”Elaine Fontain Bryant, EVP and Head of Programming for A&E said. The show returned for its second season featuring 10 brand-new episodes on Tuesday, July 26 at 10 PM ET/PT. The first season was launched during an event on Capitol Hill hosted by RespectAbility featuring Rep. Brad Sherman (D-CA) and Rep. Cathy McMorris Rodgers (R-WA). This season, the young adults and their families continue to live with a fresh and honest perspective as the series dives deeper into their personal independence and relationships, including new friends within the community who also will be featured on the show. Screenwriter Lindsey Beer is working with Zayid to turn her story into an anthology series. 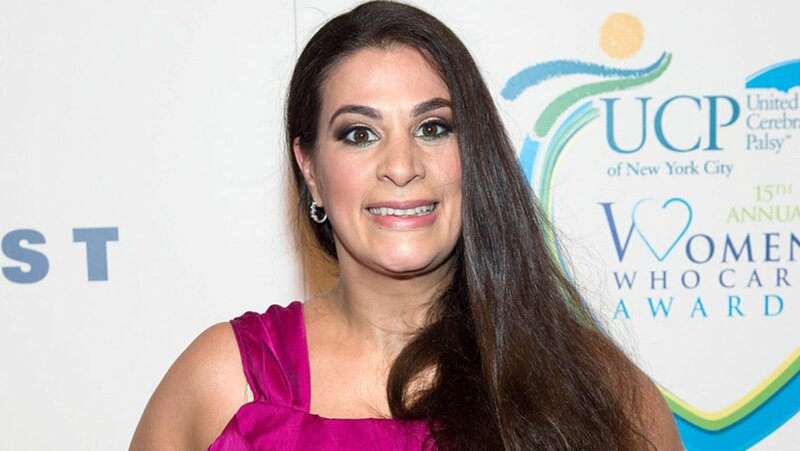 Maysoon Zayid is a Palestinian-American comedienne and actress whose 2014 TED talk about her career and life living with cerebral palsy became the most watched of the year. She uses her wit and humor to tackle issues of discrimination by empowering and entertaining people — and now she's taking her story to the small screen. Zayid is teaming with writer Lindsey Beer (Transformers 5, Barbie) to write an anthology series based loosely on her own life. Zayid has previously turned her story into a screenplay called If I Can Can, but is reworking it with Beer to create a series where each episode is themed around certain headlines like "If I Can Can: Dance" and "If I Can Can: Drive." Zayid also will star in the project (which is in the vein of Master of None), and it is currently being shopped around town. Zayid, who was born and raised in New Jersey, has been working in entertainment for 16 years, including films like Don’t Mess With the Zohan, comedy festivals and as a correspondent onCountdown With Keith Olbermann. She is repped by WME. Beer's most recent studio feature work includes The Transformers and G.I. Joe writers' rooms, along with a reimagining of the Little Princess spec with Platinum Dunes set up at Paramount. She is currently writing Barbie for Parkes/McDonald and Sony and Kingkiller Chronicles for Lionsgate. Other features that are set up around town include teen comedy Sierra Burgess Is a Loser, being financed by Black Label Media, and R-rated comedy How to Nail an Alien that's set up with Atlas Entertainment. Beer is repped by WME. Watch Zayid's TED talk here.